Katong Regency: 70% of units booked! 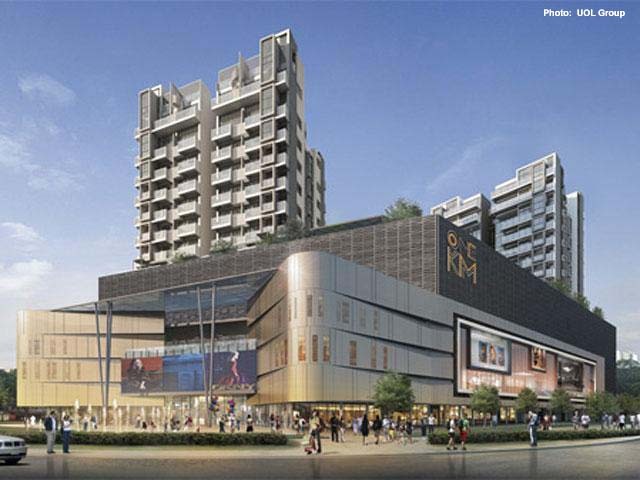 Property giant UOL Group has put out its first mixed-use development for sale in 2012. Some 70 per cent of residential units in Katong Regency were booked on its launch. Of these, the sale of about 130 units have been confirmed. Buying momentum of new private homes seems unabated as seen at the latest property launch of Katong Regency, with buyers out in full force despite it being a weekday afternoon. The developer of Katong Regency said enquiries on the development had flowed in even before the launch. Kam Tin Seah, Senior General Manager (Investment & Strategic Development) at UOL, said: "We initially planned to maybe have more than one phase at launch. But because of the good take-up at the soft launch, we have made the decision to launch the whole project. "It is a very well associated kind of Tanjong Katong address. So you would expect the core demand to still come from this immediate neighbourhood." Located at the junction of Tanjong Katong Road, the site used to house the former Lion City Hotel and Hollywood Theatre. It is a mixed development which consist of 244 residential units and commercial space. Prices for the residential units range between $950,000 for a 550 square feet one bedroom unit, and $2.52 million for a three bedroom pent house unit of 1,970 square feet. That works out to about S$1,475 to S$1,727psf. Analysts said the pricing is at the steep end, compared to units at nearby developments, which are about 5 to 10% cheaper. Still, buyers response are expected to be healthy. Analysts said this is because the government is planning to rejuvenate the area. Lee Sze Teck, Senior Research Manager at DWG, said: "There is a certain growth being ramped into the area by the government, so people might buy into the growth story in the area. Also this is a freehold project, and it is a mixed development with retail shops and residential units." The apartments will sit above the upcoming ONE KM mall. To be managed by UOL, the retail development will have a total net lettable area of 210,000sqft with some 150 retail tenants. Some of the buyers have said that they like the retail mall as there is a lack of malls in the Katong area. No Comment to " Katong Regency: 70% of units booked! " Are you living in a "shoebox"..? Enbloc News: Third time lucky for Green Lodge? New Housing Developers Rules from today! Sky Habitat: How many sold? How much psf?? Sky Habitat... as reported in "The Edge"
"Shoeboxes" bad for marriage and child birth....? Meadows @Pierce looks to TOP anytime now!